Tauy Creek: Why Is There Suddenly a Chair There? 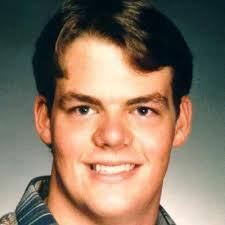 30 years ago today, 18-year-old Randy Leach disappeared from a party in rural Leavenworth County, Kansas. The disappearance made local headlines but aside from a few rumors, nothing substantial could ever be grasped. For nearly 30 years, Randy's parents, Harold and Alberta, have been inundated with rumors, speculation, and outrageous lies about their son. From the beginning, the Leavenworth County Sheriff and Kansas Bureau of Investigation followed leads relating to Satanic rituals, drug dealing cover-ups, being in the wrong place at the wrong time, and Randy just running away. Yes, there are some strange occurrences surrounding Randy's disappearance. First, the family hosting the party seemed very unable or unwilling to help in the investigation and there was apparently no evidence a party even happened. Second, a severed foot was found along the Kansas River. It was his shoe but law enforcement said it wasn't his foot. Then whose foot was it? Third, outright poor investigating. The farm the party was at was never searched. Witnesses weren't questioned immediately but, in some cases, years later. Known hideouts of criminal element were never looked at--including a drug dealer's shack with dozens of old cars. It was reported that Randy was drunk or high toward the end of the party so people and law enforcement speculated a terrible accident that was covered up. For nearly 30 years, no one has gotten close to figuring out what happened to Randy Leach. Until this past week when a detective who was working on the case revealed that Randy Leach--either drunk or high--drove off the road and into a creek. Occam's razor. While a friend offered to take Randy home, when the friend returned from taking other kids home, Randy was gone. According to the detective, Randy took the back route home and as he approached the one-lane bridge that crossed Stranger Creek at Linwood, he miscalculated and drove into the creek, being buried by the silt right there or buried somewhere between Linwood and the Gulf of Mexico. Any evidence of an accident is long gone. Even the bridge is gone, being torn down due to the erosion caused by Stranger Creek. The accident angle wasn't even investigated until 1998. Well, you can buy universal remotes at just about any place that has an electronics department. 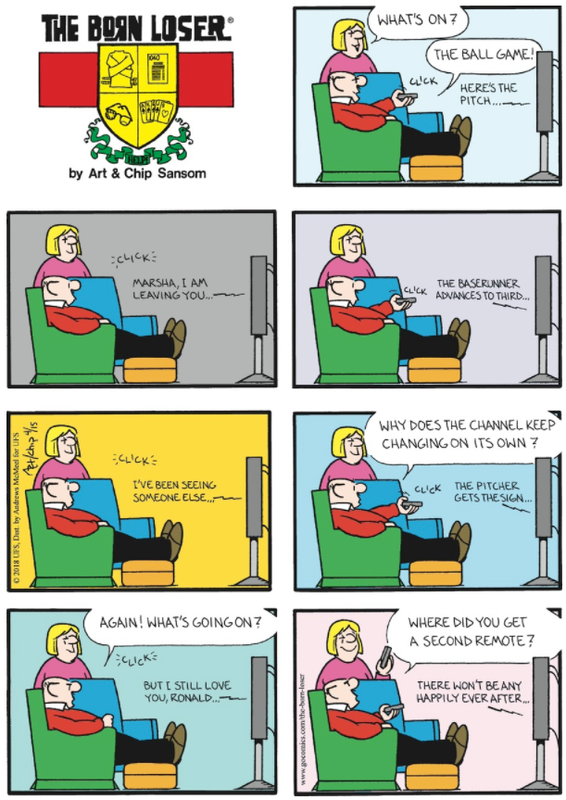 I believe you can also order replacement remotes from the TV manufacturer. I'm a bit sad that Gladys immediately shows Brutus that she has a second remote when it would've been much funnier to drive him insane with the constantly changing channels. In related news, we have a TV remote that also controls a fan. But not all the time. It's very strange. If you like what you read and want to help support my writing and my research, you can head over to Patreon where you can get the exclusive monthly Story Series Tank N Tummy, or buy me a cup of coffee on Ko-Fi.